As our school promotes a catholic ethos, we place great importance on the preparation of our pupils for the church Sacraments. During their time in our school, children are prepared for the Sacrament of First Penance (First Confession), First Holy Communion and Confirmation. 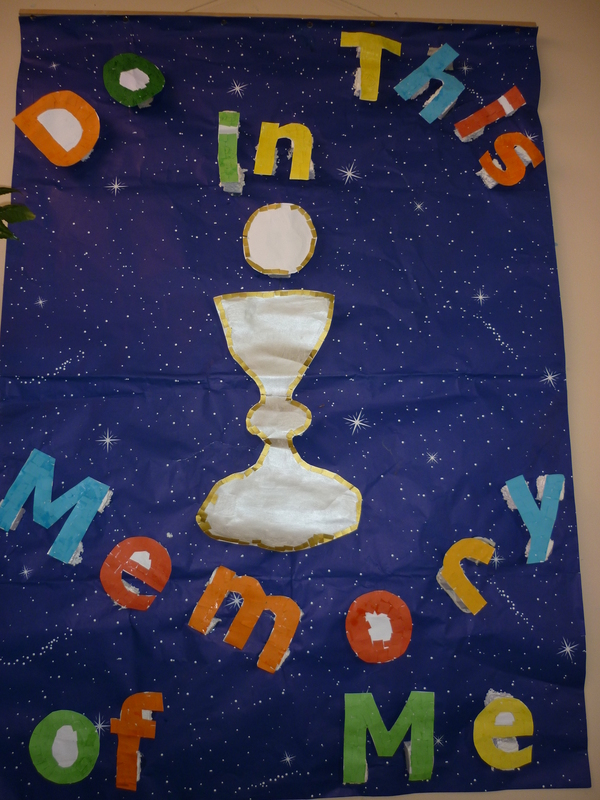 Our dedicated staff and in particular the teachers of these classes (2nd class for First Penance and First Holy Communion and 6th class for Confirmation) invest great time and effort into making these Sacraments very special experiences for the pupils. 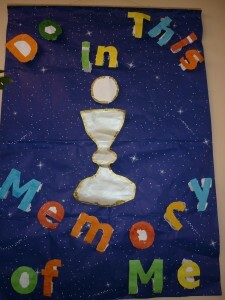 Parents of First Communion pupils help to organise the very successful “Do This in Memory” programme. This is a parish based programme of preparation for First Communion centred in the parish celebration of the Sunday Eucharist and in the home. The programme is designed to facilitate parents, families and the parish’s active involvement in the preparation for the sacrament. It complements and supports the work of sacramental preparation in the school. Our school choir enhances the ceremonies and our Parents’ Association get involved in the organisation of parties afterwards to make the celebration a whole school event. Parents of children in 1st and 3rd classes help every year with the special party in our school hall for the First Communion children and their families. First Holy Communion usually takes place in May each year. Confirmation is a parish celebration and we share the celebration of this Sacrament with the other school in our parish, Scoil Asicus, Strandhill. The Bishop of Elphin visits the parish to confirm the pupils and this ceremony usually takes place in May each year.